Pair this striking redwood with statement furniture and unusual accessories to capture a sense of exotic grandeur in your space. While creams and browns complement the wood's darker shades, gold plays with the design's copper undertones. A powerful infusion of burnt red and deep mahogany that arrests the eye at every angle. This striking redwood flooring design captures the rich shades and dramatic character of the exotic Mexican Redwood species. The style is perfect for unusual decors with interesting furnishings and odd accessories, bringing an eye-catching array of colour and character into the home. 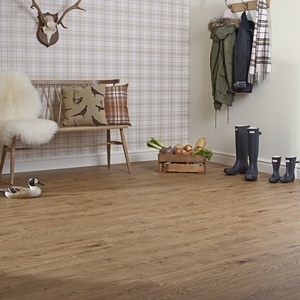 Warm and soft underfoot yet exceptionally practical, the floor has a luxurious feel and serves as a reliable base for your home. 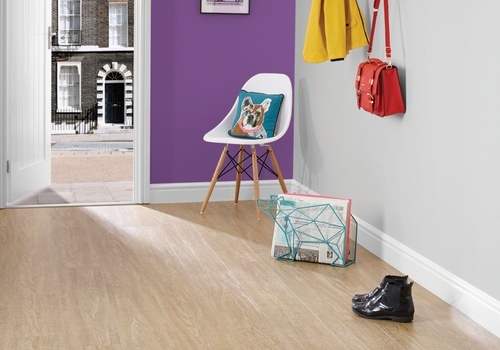 Take a closer look at the powerful colours and authentic textures of this arresting vinyl flooring design with a free sample. 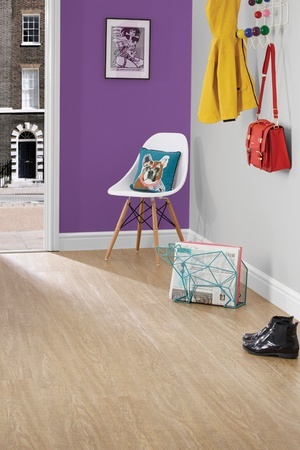 Grey Sawn is an understated ashen-toned floor that works wonderfully with vibrant colour schemes. Complement this design with pop-colours and quirky motifs in a minimal setting to land the urban cool look. Sunny blonde hues are enthused with hints of grey in this easy neutral design. 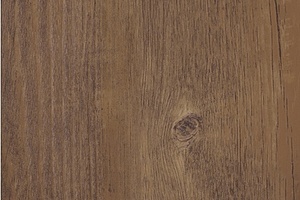 This wonderfully neutral floor is tickled with silver tones for a modern twist on a classic oak design. Accentuate the wood's ashen hues with dusky shades of lilac and inspire a vintage feel with shabby-chic furniture. 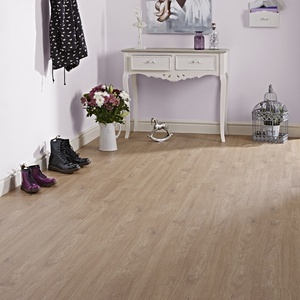 Classic oak character is washed in silver tones creating a cool, shabby-chic feel. 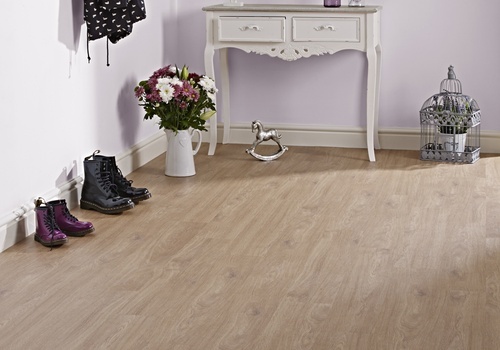 This White Washed Oak effect vinyl floor has a neutral shade that’s easy to incorporate into the home. Muted pastels and washed wood furnishings make particularly lovely company for the design with lilac a key shade for lifting the wood’s ashen tones. With a scratch-resistant, water-resistant and an easy-to-clean surface, this floor is fit to be enjoyed anywhere in the home. 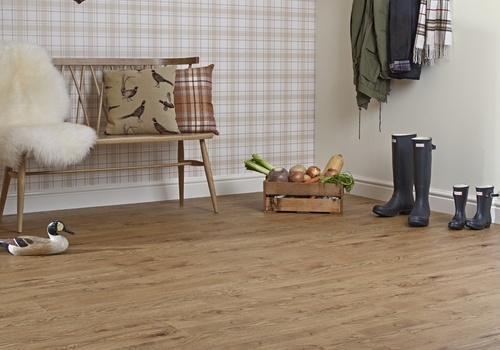 Order a free sample to take a closer look at White Washed Oak or visit your nearest stockist to view larger swatches and discuss your options with a flooring expert. This striking dark slate design is brought into the limelight with minimal styling. Complement your floor with monochrome colours, metal furniture and vintage accessories to capture a contemporary, industrial look. Delicate grey detail flows through dramatic black in this arresting slate design. 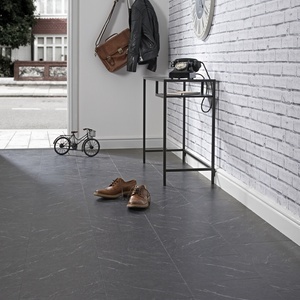 These striking black slate, vinyl floor tiles generate a powerful look in any space. Bring them into the limelight with minimal styling and complement your floor with monochrome colours, metal furniture and vintage accessories to capture a contemporary, industrial look. With a clever multi-layered construction and water-resistant surface, the tiles are fit to be enjoyed in even the most demanding rooms of your home. 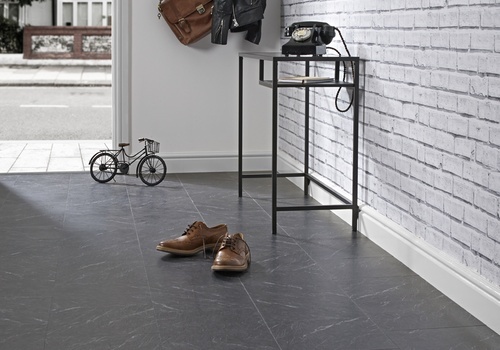 Get a feel for the authentic textures of Polished Slate and see its colour close-up by ordering a free postal sample of the flooring. Your local Vusta retailer can help you with the design of your floor and will have larger swatches of the vinyl floor tiles on display. 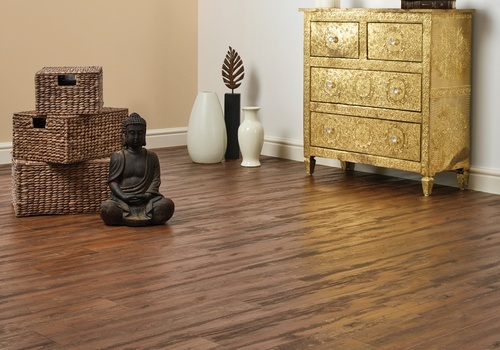 Abundant with elegant grains and rich chocolate tones, this authentic sawn design exudes traditional glamour. Pair the floor with opulent colour schemes, shiny surfaces and jewelled accessories to capture the spirit of 1920s Art Deco style. Dramatic mahogany hues glow with chocolate-orange in this unmistakeably opulent design. Rich in elegant detail and dark chocolate tones, this authentic wood flooring design captures the kerf marks of timber that’s fresh from the saw. The floor makes a luxurious base for opulent colour schemes, shiny surfaces and metallic accessories, bringing a lovely feeling of warmth to beneath the feet. With built-in magnetic technology, this floor can be fitted easily and completely adhesive-free with a magnetic underlay. Order a free sample to get a closer look at this exquisite vinyl flooring design or pop in to your nearest retailer to view larger swatches and discuss your ideas with an expert.